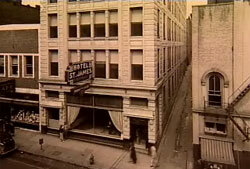 St. James Sessions is a very welcome website dedicated to the recording sessions held at Knoxville, Tennessee’s St. James Hotel in 1929 and ’30. It might seem obscure at first glance, but from this modest collection of dates came some of the greatest records of the pre-war period. These records have more style and personality than 18/20ths of their hillbilly contemporaries. Also made here were the two sides of Howard Armstrong (Louie Bluie) and Carl and Roland Martin’s Tennessee Chocolate Drops: “Knox County Stomp” b/w “Vine Street Rag.” Carl Martin’s later records in the early ’30s don’t come close to comparing to the Drops’ tunes from St. James; Louie Bluie’s 1934 dates with Ted Bogan get closer, but we’d take these first. This website is a work-in-progress by Laurent Dubois, David Garner, and Mary Caton Lingold of Duke University. Our goal is to showcase our research on the history of the banjo in the Afro-Atlantic world, including historical documents, visual materials, material objects, and musical transcription and analysis. We focus particularly on Haiti and Louisiana, but also provide information from other areas along with the transcriptions of a wide range of banjo music. Looks like the complete Wayne Perry Library of Congress recordings are available here. More about Wayne Perry here. 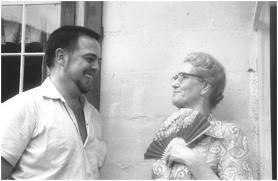 This site is a digital resource for the study of the 1934 John and Alan Lomax trip to lower Louisiana, where they recorded a diverse array of songs in English and in Louisiana French. The recordings they made are part of the Lomax Collection, housed at the Library of Congress in the American Folklife Center. This website was developed by Joshua Clegg Caffery, author of Traditional Music in Coastal Louisiana, which contains transcriptions, translations, and annotations of these recordings. The audio on this site is organized by parish and performer name, and it corresponds, more or less, with the Table of Contents in Caffery’s Traditional Music in Coastal Louisiana. An image of the Library of Congress cards from the original catalog of the Archive of American Folk Song accompanies each audio selection. These images are hyperlinked to the corresponding record in the American Folklife Center’s online interface. All Library of Congress photos of performers are also hyperlinked to their corresponding page in the Library’s Division of Prints and Photographs. In many cases, the titles and information given on this website may conflict with information in the original card catalog. The original cataloging of these materials contained a number of mishearings, misspellings, misidentifications, and other errors. This cataloging was done, after all, at a time when there was practically no scholarship at all on the vernacular music of south Louisiana. The goal of this site, and of the book Traditional Music in Coastal Louisiana, is to update these efforts in light of contemporary knowledge and to make corrections where appropriate. Country Music’s history of the last 75 years is represented in the British Archive’s collection of over 500,000 recordings on all formats. The Archive not only houses US recordings but Country Music from all over the world where the media, record producers, or serious collectors may come and browse. The foremost consideration is the preservation of old-time Country Music.This is not just the David Barnes collection, but includes collections of others who have dedicated their lives performing or collecting country music throughout the years. Many people spend their entire lives researching the various labels and artists only to find at the end that someone with no interest in what they have achieved throws it all away. This must not happen! All their work must be preserved. Magazines, fanzines, discographies, biographies, and photographs must be stored under one roof. At present the British Archive one of the few places in the world outside Nashville providing a facility which preserves the heritage of country music. it is also very important that donors’ names are recorded so that they will be respected by future visitors to the premises.The British Archive of Country Music is here to preserve the music, so that future generations may benefit from the past efforts of so many devoted people. Within the Archive there is a library of over 500,000 Country Music tunes, history and biographical works, plus magazines, publicity data, sheet music, song books, photographs, videos, and all manner of memorabilia and artifacts. In addition, we produce CDs for sale. John Quincy Wolf, Jr. was “one of the few real scholars to become interested in Ozark folklore.” 1 This Website contains documents, audio recordings, and other materials from the John Quincy Wolf Folklore Collection, part of the Regional Studies Center at Lyon College. Ozark Folksongs contains transcriptions and audio files to hundreds of folksongs collected by Wolf from 1952-1970. Songs are indexed by song title. Sacred Harp documents Wolf’s interest in Sacred Harp singings. Wolf, along with wife Bess, traveled the back roads of the hills and hollows of north central Arkansas for more than a decade beginning in the early 1950s in search of singers and musicians willing to sing and play their songs as Wolf saved them for posterity on his reel-to-reel tape recorder. When arthritis limited Quincy Wolf’s mobility in the 1960s, the couple increasingly turned their attention to musicians and genres found closer to their Memphis home, and one song in this collection reflects that change in geographical focus. Bess Wolf donated the collection to Arkansas (now Lyon) College in 1981. 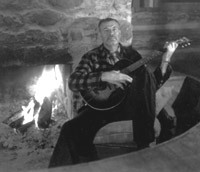 An English professor by trade and self-taught folklorist, Wolf, unlike many of his contemporaries and predecessors, did not limit his recordings to songs and tunes that fit the academic definition of “genuine” folk music. He recorded whatever his hosts felt like playing, including hymns, Jimmie Rodgers songs, and popular, traditional-sounding Tin Pan Alley numbers. Many of the songs in this collection would not have met the “authenticity” standards of the professional folklorists, but Wolf’s populist approach revealed the willingness of many in the hills of Arkansas and elsewhere to embrace the products of the American folk and popular traditions and the creations of local lore as willingly as they did the Child ballads and other British songs long sought and cherished by collectors. collection, and the transfers are being overseen by Mike Tyson of Preservation Audio. 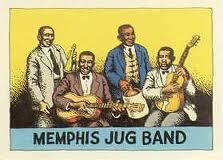 In many ways, the era from 1925 to 1950 represents the Golden Age of roots music. It was during these years that the rich, vibrant tradition of folk music made its way onto the new mass media of radio and records. This was the age when far-sighted collectors and ambitious commercial record companies began preserving parts of this vast, complicated heritage, and helped spread it around the world, where it stimulated many of the great genres of pop: jazz, blues, gospel, western swing, rockabilly, rhythm and blues, and rock and roll. These fragile 78 RPM records, produced in an age before tape, before mixing, before multiple microphones, often in makeshift studios, carried the message of this powerful music into coal camps, railroad yards, juke joints, small town barber shops, the porches of thousands of farm houses and company towns — wherever people could grab a few moments of rest from their work and relax to the sounds of a music that was uniquely theirs. Over the years, most of these 78s were worn out, broken, thrown away, made into ashtrays, used as target practice for local carnival ball-throwing contests, plowed into landfills, or donated to scrap shellac drives during World War II. 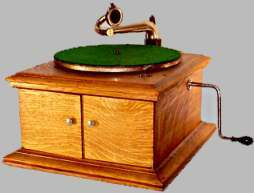 Today, not one household in a hundred even has an old-fashioned Victrola that can even play the discs. Yet a handful of collectors and scholars sensed the importance of this culture, and sought to act before it was too late; they began collecting the old 78s, cleaning them, figuring out the best way to get the best sound from them, trading them with other collectors, learning what they could about the names on the labels. On a 78, the listener received no liner notes on recording information as he or she does today: you got a name (which might well be a pseudonym) and a song title (which might not be the one the artist gave to them). To establish a social and musical context for these records, you had to do painstaking research — not only in old company files, but actually beating the bushes in towns from which the musicians came. Music Memory is continuing the work started by the collectors and researchers in the 1950s and ’60s. We share their passion to keep the history of our musical heritage from being forgotten and are committed to preventing that from happening. As of October 2012, we have digitized more than 10,000 records on location at the homes of several prominent record collectors. Our goal is to build a database complete with audio, discographical information, artist and composer biographies, song lyrics and notation. Our hope for this database is that it will serve as a musical Rosetta Stone for future generations by showing the links and cross-influences of the many musical styles captured on phonograph records in the first half of the 20th century. SPRINGFIELD, MO — Max Hunter, a folklorist who collected hillbilly songs, stories and expressions such as “ugly as a mud fence” and “pretty as a speckled pup” has died of emphysema at 78 (in 1999). Hunter, who died Saturday, was known to run moonshine through the hills, chase chickens, haul hay or perform just about any task he could trade for a song or story. Over the years, Hunter became known as one of the nation’s premier collectors of traditional Ozarks songs and stories, most of which are now on file at the Library of Congress and the Smithsonian Insittituion. During the 1950s, Hunter was a travelling salesman who spent time in motel rooms playing his guitar and recording songs. He later expanded his hobby by recording folklore from people he met on southwestern Missouri’s dirt roads. But pulling a story out of a hillbilly could sometimes be more like pulling teeth. To win their trust, Hunter would offer to help with chores or run errands. Some of the songs he collected came directly from the Ozarks. Others could be traced back hundreds of years.Some, Hunter later discovered, had even been chronicled at Harvard University in the 19th century, in a collection of traditional ballads then thought to be extinct. Other tidbits Hunter collected included ways to cure warts (start by stealing your neighbor’s dish rag), or suggestions for warding off bad luck after a black cat crosses your path (put your hat on backwards and the cat won’t know if you’re coming or going). Under lock and key at Springfield’s Greene County Library, Hunter’s collection fills shelves several feet high, with copies also kept at the Unviersity of Missouri at Columbia. There are 14 hours of jokes on tape, more than 1,000 native expressions like “got to get my ears lowered” (haircut) and more than 2,000 folksongs. For Hunter’s work, the state’s Arts Council in 1998 presented him a Missouri Arts Award, its highest honor. See http://maxhunter.missouristate.edu/ to browse his collection. “Uncle Dave at Home”: This CD features Uncle Dave Macon at his most relaxed and authentic, sitting before his own fireplace on a warm spring Sunday afternoon in Kittrell, Tennessee, halfway between Murfreesboro and Woodbury. The recordings in this CD are informal, amateur recordings made on a portable tape recorder. They were made circa May 1950, a little over a year before Uncle Dave’s death. “Sam and Kirk McGee Live: 1955-1967” Live recordings from Bean Blossom, New River Ranch, and Smithsonian Festival. Here, are the stories of six woman, stories told in living rooms, in kitchens, in parking lots: the recollections of old friends, daughters, sons, and sisters. They played banjos and fiddles, they sang songs to those who listened, and for themselves. These are stories of rifles, and pies baked. Of dreams held back, and dreams realized. There are stories of faith, and stories of hard work. They played old time music in Kentucky, all. 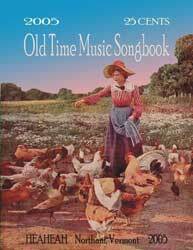 Old time music, I have come to understand, is the music that came out of families, and households; which some took to stages, but all kept as one part of the fabric of their lives. I heard recordings of these women last winter, on the internet, on CDs. And I missed not knowing their stories; the kitchens, the living rooms, the laughter, the dancing it seems, are woven into this music and, I would argue, cannot quite be separated. The musicians who I have had the honor and joy of knowing, who’ve taught me tunes and bowings and how to hold my banjo, they have taught me about life, too. About patience, and humility, and how to listen closely. So, who are these people in the recordings? How did they celebrate music in their life? And what lessons can they teach us—beyond the bowstrokes they used? I must say, here, too, that I began this project with a particular focus—to find the stories of women musicians. The intent was to get at an answer to a question—why it seemed there were so few women who played a part in this music’s history? 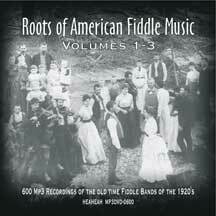 It’s true, their ranks among records and field recordings are smaller, particularly when it comes to fiddle. I only found more questions; was it a matter of women not playing? 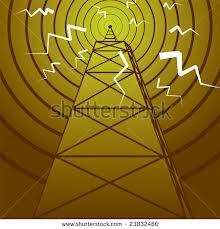 or not playing for field recorders, and the written record? As I became involved, learning the specific stories of the women who did play, I became discontent with the idea of noting general trends, at least for the time being. The landscape of Kentucky is diverse, each community with its own cast of characters. It seemed more interesting, and more honest, then, to hear the stories of the women who did play, with such vigor and joy. I wanted to let them speak for themselves. Here is another large online old time lyric collection. This and the Bluegrass Messenger site have it pretty well covered. The author offers biographical and discographical info, lyrics, photos, audio clips, and a link to this essay by Bengt Olsson from “The Complete Works, 1927-1930 (Yazoo 1082).” Below is the first section. Click here for the complete essay. Gus Cannon was born at Henderson Newell’s plantation a mile or so north of Red Banks, Marshall County on September 12, 1883 (incidentally that makes him a Virgo — earth). The Frisco railroad tracks ran (they still do) through Red Banks &amp; though the trains never stopped, the railroad was considered the most important thing in the vicinity. 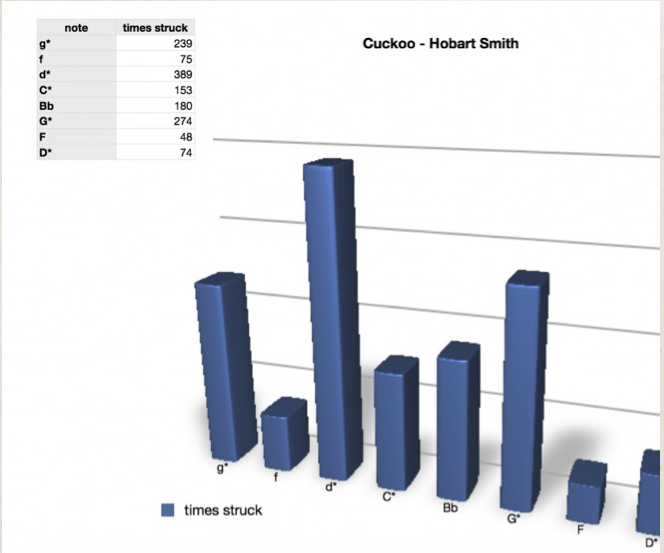 The one incident that really stands out in Gus’ memory of the first years is witnessing the Frisco have a wreck outside Victoria, a small town just north of Red Banks where Gus & his mother were gathering flowers at the time of the accident. Except for the railroad Red Banks was little more than a store with porkchops as well as hoes & Stetson hats; a few cafes with dancing in the front & dice games in the back & a post office, which stayed closed most of the time. Gus’ parents, John & Ellen, were sharecroppers & as such they moved about within the Red Banks/Victoria circuit. Usually parents had their kids help out in the fields once they were old enough to carry a bucket of water. A grown man would make around 50¢ a day — certainly not much, but on the other hand 20¢ bought a steak-dinner back then. Quite naturally (“I’m 88 years young”–1971)–, Gus’ memories of the childhood days are hazy, but some recollections (omitting the train wreck) still shine through. Richard Blaustein’s “Talking Fiddle” site includes recordings, photos, and history related to fiddlers Am Stuart, J.D. Harris, Charlie Bowman, John Dykes, G.B. Grayson, Jimmy McCarroll, Allen Sisson, the Tenneva Ramblers, the Allen Bros., Clarence Ashley, Ridgel’s Fountain Citians, Tennessee Ramblers, and Vance’s Tennessee Breakdowners. Charles Thomas Bowman was born in Gray Station, Washington County, Tennessee on July 30, 1889. Playing old time music was a major form of home entertainment for country people throughout the United States and Canada in those days. 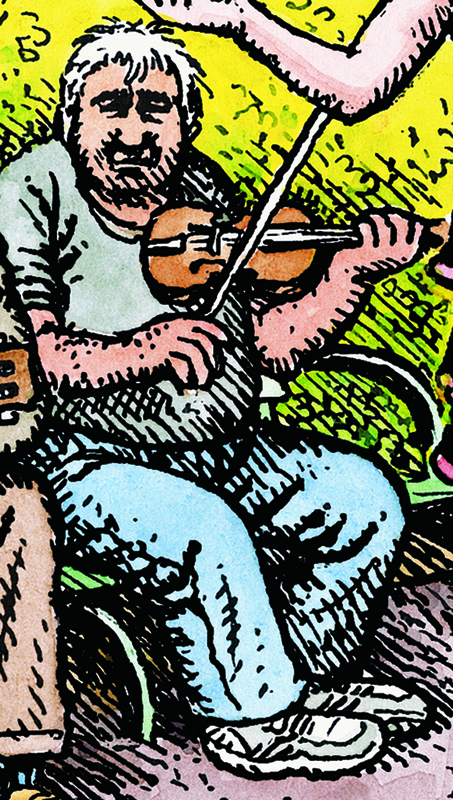 Like Clark Kessinger, little Charlie Bowman started out on banjo but soon switched to fiddle. 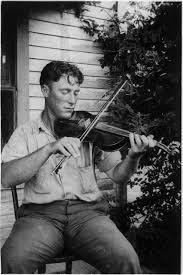 His first fiddle cost $4.5O; fifty cents was a full days wages for a farmhand at that time. All but one of the nine Bowman children played music; Charlie and his brothers would later record together as The Bowman Brothers. Charlie made his first recording in 1908 — on an Edison cylinder phonograph owned by a neighbor! The Bowman Brothers started playing at local dances and other events. They soon began to get paid for playing music; each of them got seventy-five cents,an impressive amount of money back then. In 1920 Charlie entered a fiddle contest in nearby Johnson City. First place went to Clayton McMichen, a great North Georgia fiddler who later went on to record with Gid Tanner and Riley Puckett, among others. Charlie took second place, winning thirty dollars! He then entered and won so many fiddle contests in East Tennessee and the surrounding region that other fiddlers started to complain about him! A revival of interest in old time fiddling was growing all across the United States by that time. In 1923 Victor Records offered Charlie Bowman a recording contract, which he turned down. Al Hopkins was so impressed when he heard Charlie play at a Johnson City fiddle contest that he invited Bowman to join the Original Hillbillies, who were already recording for Okeh. Bowman turned down his offer. But in 1925, Hopkins and Bowman met again at a now historic fiddle contest in Mountain City in remote Johnson County, the easternmost county in the state. Chinquapin Grove near Bluff City in Sullivan County took first prize; Charlie Bowman from Gray Station in Washington County took second place, and the very first Tennessee fiddler to make commercial recordings, Uncle Am Stuart from Morristown in Hamblen County, came in third. Al Hopkins and the Origina Hillbillies were also there. Hopkins invited Bowman to join the Hillbillies again, and this time Bowman accepted. Country music was taking off, and The Hillbillies were very popular. Charlie and The Hillbillies cut several records for Vocalion in New York City, where they also played on local radio and made lucrative appearances at vaudeville theaters.At the height of their popularity, The Hillbillies played for President Calvin Coolidge and also appeared in a short film. and advertised for local talent in area newspapers. 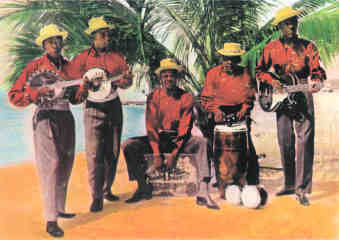 Charlie and his brothers auditioned for Walker and recorded a number of classic old time songs and tunes for Columbia. Charlie Bowman finally retired from show business in 1957, He died on May 8, 1962. See previous Charlie Bowman post. Banza and strum-strum were just two of the many names for the earliest forms of the banjo, which made their first appearance in the Caribbean, most likely sometime in the 1630s or ’40s. From 1689 on through the early 19th century, European observers documented other terms for these instruments such as Creole bania (Surinam), bangil (Barbados, Jamaica), banshaw (St. Kitts) and merry-wang (Jamaica). Two of the most common names were banza in the French, Spanish and Portuguese colonies and banjar (also banjer, banjor, banja, banjah, etc.) in the English colonies. Hispano Music and Culture of the Northern Rio Grande: The Juan B. Rael Collection is an online presentation of a multi-format ethnographic field collection documenting religious and secular music of Spanish-speaking residents of rural Northern New Mexico and Southern Colorado. In 1940, Juan Bautista Rael of Stanford University, a native of Arroyo Hondo, New Mexico, used disc recording equipment supplied by the Archive of American Folk Song (now the Archive of Folk Culture, American Folklife Center) to document alabados (hymns), folk drama, wedding songs, and dance tunes. The recordings included in the Archive of Folk Culture collection were made in Alamosa, Manassa, and Antonito, Colorado, and in Cerro and Arroyo Hondo, New Mexico. The mp3 recordings in this collection are free downloads. 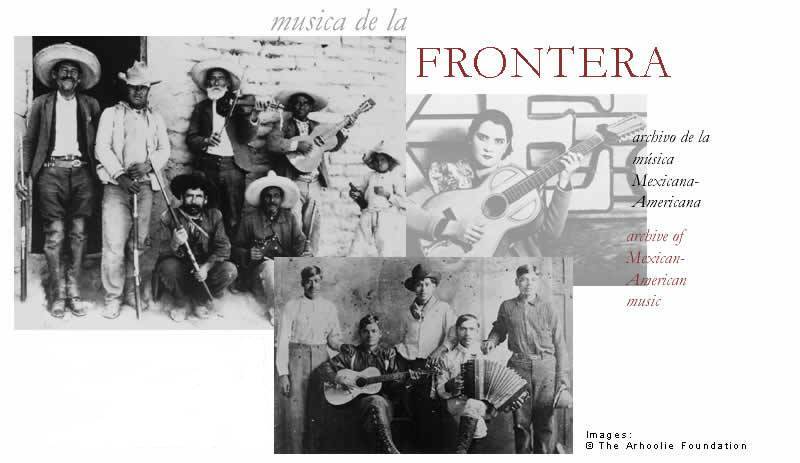 The Arhoolie Foundation’s Strachwitz Frontera Collection of commercially produced Mexican and Mexican-American recordings (the Frontera Collection) is the largest repository of Mexican and Mexican-American vernacular recordings in existence. With funding from Los Tigres del Norte Foundation the UCLA Chicano Studies Research Center has sponsored the digitization of the first section of the collection by the Arhoolie Foundation. These performances were recorded primarily in the United States and Mexico and issued on 78 rpm phonograph recordings during the first half of the twentieth century. This vast digitized collection of approximately 30,000 recordings is now available to researchers and the general public. Smithsonian Folkways offers free downloads of liner note booklets of all the great old Folkways LPs, including Harry Smith’s Anthology of American Folk Music. Anywhere on the website, just click on the picture of an album (or CD) to get to the album detail page. The download link for the liner notes on the album detail page is just above the track listing: “Download Liner Notes.” The liner notes have extensive biographical, historical, and musicological info as well as lyrics, etc. Folkways Records was founded in 1948. Led by Moses Asch (1905-1986), Folkways sought to document the entire world of sound. The 2,168 titles Asch released on Folkways include traditional and contemporary music from around the world, spoken word in many languages, and documentary recordings of individuals, communities, and current events. Here is just the FIRST PAGE of the complete list of 116 Smithsonian Folkways old time recordings. If you are interested in online biographical sketches of old time fiddlers and bands from the classic era, David Lynch’s oldtimemusic.com and Ahmet Baycu’s 1001tunes.com have pages dedicated to biographical info. 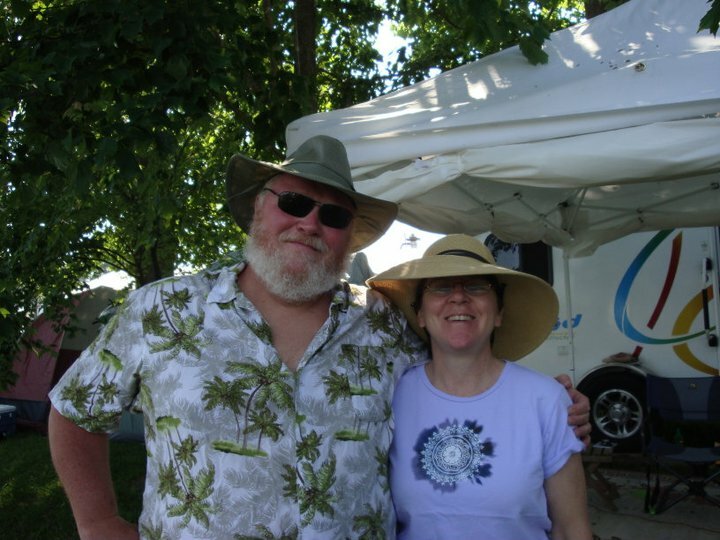 These 2 links and the Dixie Archive blog also feature photos of the artists. From the 1950s through the 1980s, the Library of Congress issued long-playing albums (LPs) of recordings from the collections of what was first called the Archive of Folk Song, later the Archive of Folk Culture, and finally the American Folklife Center. Some of these titles had formerly been released as 78 rpm records in the 1940s. These albums included instrumental music, song, storytelling, and occupational calls such as “field hollers” and “cattle calls.” The LP albums were accompanied by liner note booklets of eight to sixty pages, packed with information about the recordings and the traditions they represented. THESE LINER NOTES BOOKLETS ARE FREE DOWNLOADS FROM THE AMERICAN FOLKLIFE CENTER. The Harry Smith Archive offers a number of audio links for lectures given by Harry Smith in the last years of his life. These appear to have been recorded while Smith served as the Shaman-in-Residence at the Naropa Institute’s Jack Kerouac School of Disembodied Poetics from 1988-1991. Sound quality improves after about 1 minute. Richard Matteson at Bluegrass Messengers offers what appears to be the largest online collection of old time song lyrics, with extensive notes and discographical information. Rain down bonny mish ki-me-oh. Neal writes: These recordings all come from my private collection with considerable help from other French music fans. I post them here as a labor of love without gain and with no wish to cut into any else’s profit. I simply make these important and scarce recordings available here due to their inherent interest to the Cajun music community, to preserve and promote appreciation for the likes of Nathan Abshire, Austin Pitre, Ambrose Thibodeaux, Revon Reed, Sady Courville, Preston Manuel, Roy Fusilier, and many other great musicians! I know it’s unreadable for some reason, but double click on this map to enjoy a larger readable version. 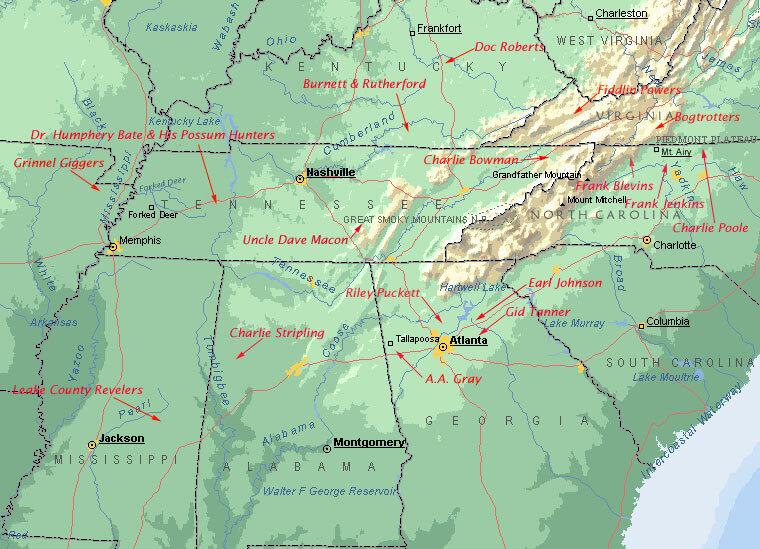 Ahmet Baycu created this great map and posts it on his site, Roots of American Fiddle Music. As we all learned this music and its historical context, I thought it significant to observe the various geographical positioning ot the OTM artists of the 1920’s. Hence, this map should give you an idea of the general configuration of some of these groups, and how mountain ranges and distances can drastically affect the stylistic development of their music. The band names are linked to their particular bio on the site but will not work on this page. The John Donald Robb Archive of Southwestern Music is dedicated to preserving the musical heritage of New Mexico and the Southwest. Created in 1964, the archive has grown to house over 1,600 hours of recordings. Collecting began through the efforts of former University of New Mexico Fine Arts Dean John Donald Robb, for whom the archive iis named.The archive’s collections preserve examples of the rich cultural milieu of Southwestern music. They consist of Hispanic, Native American, and Anglo music recorded between 1942-1979 in different parts of New Mexico. The collection contains Hispanic folk music such as the alabado, the pastore, the decimal, and the corrido. Additionally, Native American chants and dances, as well as Anglo cowboy and frontier ballads are represented in the collection. study. Don’t worry about mistakes you may encounter! I started this site quite a few years ago to spread the OTM word via photos, bios, downloads, and anything else I could digitize. Since then, there has been an explosion of info interesting posts by hundreds of like minded folks. Still, there should be plenty here for all newbies to this music to get you started on your journey, including OTM crossword puzzles and a good sprinkling of humor. Be forewarned however that paths here do not travel in straight lines. http://honkingduck.com/mc/ offers over 700 78 rpm recordings from the 1920’s and 1930’s for your listening pleasure. The collection is searchable by artist, title, and year. The site below lists audio files that you can download to your computer of John Heneghan playing and talking about records from his 78rpm record collection. This link will take you to Old Time Radio Show #3, featuring Pat Conte talking and playing some of his favorites recordings.